Square Enix (TYO:9684 have revealed their results for the financial year ending March 31st. The company has shown a record high of sales, income and profits. This is despite the dropping of IO interactive, costing the company ¥4.9 billion in extraordinary loss. For the financial year, the company has managed sales of ¥256.8bn and operating income of ¥31.2bn. 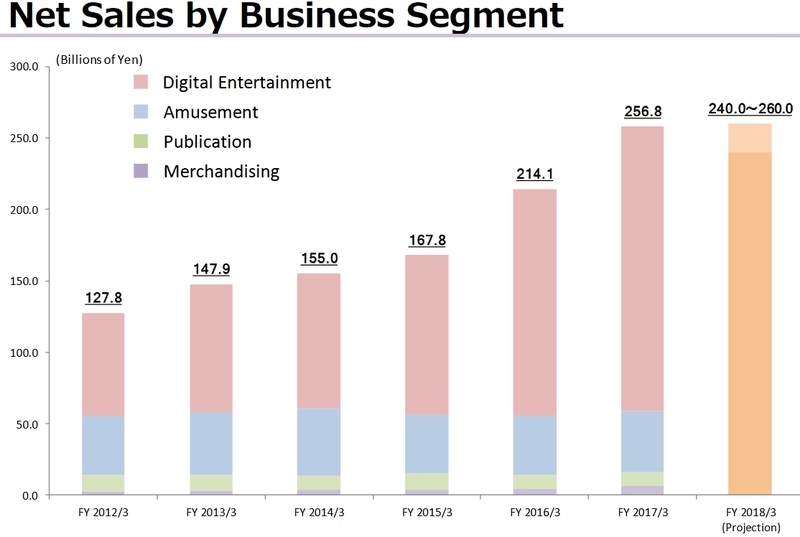 Roughly 77.5% of this revenue came from the digital entertainment division, which saw a rise from ¥1589bn to ¥199bn. Amusement made up around 16.5%, seeing a small rise from ¥41.1bn to ¥42.7bn. Publication and Merchandise made up the remainder, rising from ¥9.9bn to ¥10bn and ¥4.5bn to ¥6.4bn respectively. One segment of digital entertainment where the company saw a fall was in MMO. Massive Multiplayer Online games have seen a steady revenue stream through subscriptions, although net sales have fallen below both 2015 and 2016 levels due to the lack of an expansion pack being released. However, this year has expansions planned for both of the company’s MMO’s, Dragon Quest X and Final Fantasy XIV. Where Square Enix haven’t offered any clarity is in the growth of their mobile games. What’s left of Digital Entertainment is a combination of both online browser as well as mobile games. What has been revealed is that the first half of the financial year saw lower than expected revenue from titles launched then, which was recovered somewhat by overseas expansion of these titles. Titles that were highlighted as performing well were Final Fantasy Brave Exvius, both locally and overseas, as well as the overseas expansion of KINGDOM HEARTS Union χ. Within Japan, other titles have also performed well, including Hoshi no Dragon Quest and Dragon Quest Monsters Super Light. Where the company has generated other revenue, is in Amusements, Publication and Merchandise. The lion’s share of this remainder comes from Amusements. Managed under the name Taito, the company has a host of TAITO STATION arcades across Japan. As this segment grows, it’s understandable that they will look to expand on this with four new arcade games planned to launch this financial year. Improved store management efficiency has also been highlighted as a key factor for the improved profitability of the arcade stores. One falling area for the company has been within comic books and manga. Publication was kept stable as a result of increased sales of strategy guides have gained. What Square Enix are hoping will revitalise the flagging sales of comics and manga is the recently launched platform Manga Up. Digital sales have increased, counter to the falling paper sales and the digital application will only support this. A further aim of the company is to expand IP’s into other areas like film, TV and animation to promote sales of related comics. Merchandise, on the other hand, saw above a 40% year on year rise. This has mostly been attributed towards the sales and licensing deals that were linked to major releases. Particularly noted are Final Fantasy XV and also the 30th anniversary of Dragon Quest. Working with their own IP’s, the company is able to promote a range of products from figures to soundtracks that help to boost the merchandise revenues. Projections for the current financial year indicate a downturn from the previous year in a number of ways. Net sales are predicted at between ¥240 to ¥260bn. This is led by a significant projected fall in-game sales. 34.76 million units, both disc and digital, were sold in the previous financial year while the current year is projected to only see sales of 15.66 million units. This is as a result of few blockbuster releases in the current financial year. Since March 31st Dragon Quest Heroes II has been released. The current year will also see the release of Final Fantasy XII: The Zodiac Age and Dragon Quest XI. There will be other titles, but for name recognition these are the highest profile guaranteed releases documented for the year. As for IO Interactive, the extraordinary loss from ceasing production of all current products within the company. 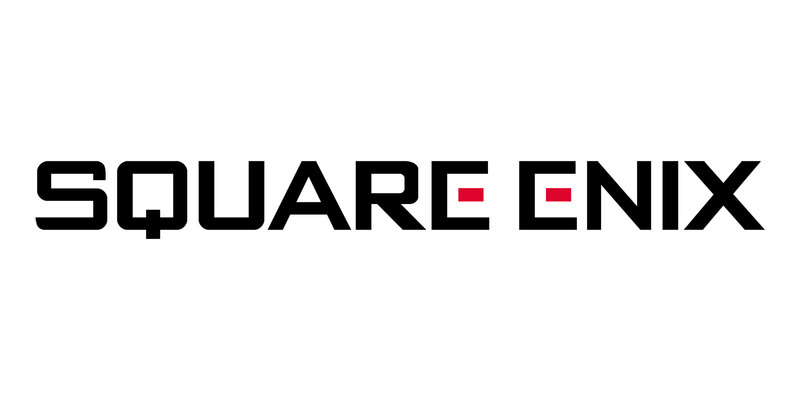 Should Square Enix find a buyer for IO interactive, it’s also up to question if the sale will also include the Hitman IP. If it does, then that is a large IP from the Square catalogue removed, as well as two mobile titles in Hitman Go and Hitman: Sniper. This year will be an interesting one for the company. Should they beat projections, it will be a good one. With no genuine blockbuster titles on the horizon, hopes will be on Final Fantasy XV as well as the MMO’s, which are getting expansions, to pick up the figures.